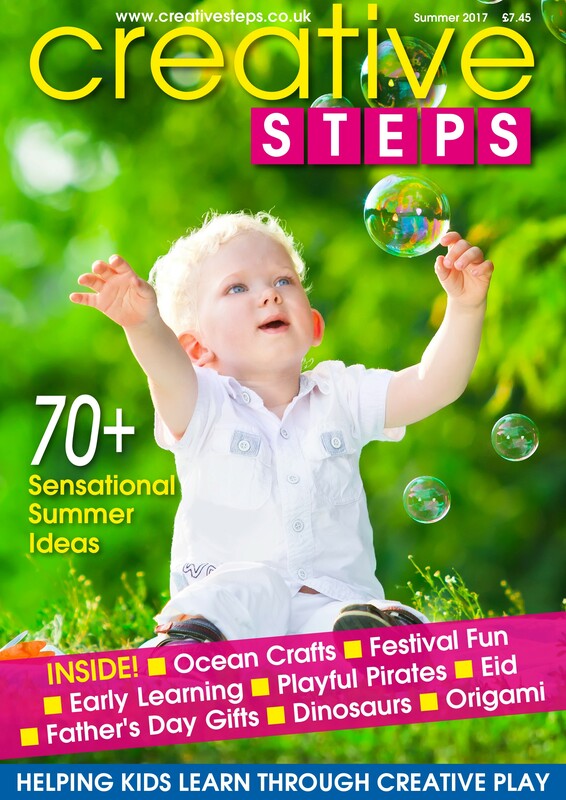 The new SUMMER issue of Creative Steps is packed with more than 70 fun seasonal activity ideas to encourage learning through creative play. 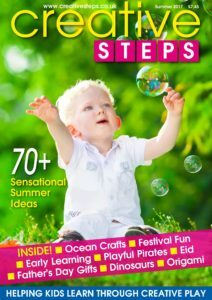 Including dozens of fun activities for Father’s Day makes, early learning, playful pirates, easy origami, Eid, summer inspired crafts, fossil fun, World Oceans Day ideas, dragonflies, dinosaurs, superheroes, summer games, festival fun & much more! 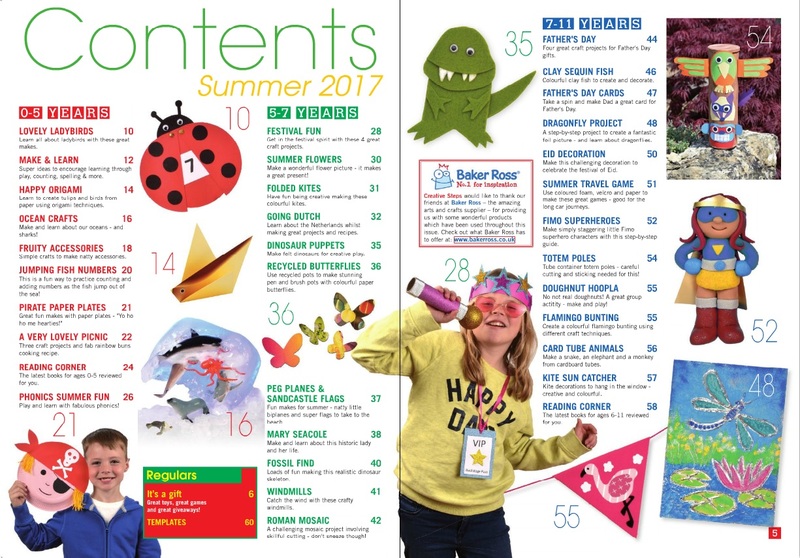 Each activity is designed to encourage learning through creative play, supporting the EYFS and KS1/KS2, with many of the projects making use of recycled materials.